When your fabric printing and Retail display needs are unique and complex, McRae Imaging has the Customer Service team to deliver a world class product to the Cincinnati, Ohio market, stress-free! Everyone pays lip service to customer service, but we actually deliver on it. Our customer service team delivers nationwide Retail display programs for some of the biggest Retail brands in the country. We’ve earned their trust, and we’d like to earn yours too! In-house production capabilities mean that we control every aspect of the product, including scheduling and distribution. Quality consistency is what you can expect when we control all aspects of the production process. We have experience solving some of the Retail industry’s most complex fabric display structures. With fewer vendors to deal with, you can expect a smoother project and less stress at delivery time. 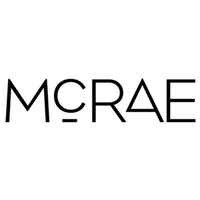 Simply call your local McRae Imaging sales rep for a consultation at 1-800-234-5678 or complete the form above and a sales rep will contact within 24 hours.